CVGHM reported that seismicity at Sundoro continued to increase into January after the Alert Level was raised from 1 to 2 (on a scale of 1-4) on 5 December 2011. After the first week of January through 27 March the number of daily earthquakes significantly decreased. The Alert Level was lowered to 1 on 30 March. The last eruption reported for Sundoro volcano occurred 29 October 1971; however, that did not stimulate a resulting Bulletin report and this is our first on this volcano. According to Indonesian Center of Volcanology and Geological Hazard Mitigation (CVGHM), visual observations of Sundoro volcano during October - 4 December 2011 indicated 'smoke' from fumaroles around the summit crater. Average fumarole temperatures of 75°C on 26 October and 95°C on 2 November 2011 were measured. On November 2, the height of the 'smoke' had passed the rim of the volcano's crater. Seismic activity, especially volcanic earthquakes (deep volcanic tremors-VA, and shallow volcanic tremors-VB), began to increase in November 2011. On 5 December 2011, the Alert status (on a scale of I to IV) for Sundoro was raised from Normal (Level I) to Alert (Level II). Seismicity remained elevated through the first week of January 2012. Throughout the rest of January, February, and through March 2012, a significant decrease of volcanic earthquakes (both VA and VB) was noted. Thus, the Alert status was lowered to Level I on 30 March 2012. The area of Mt. Sundoro (also known as Sindoro; close to Mt. 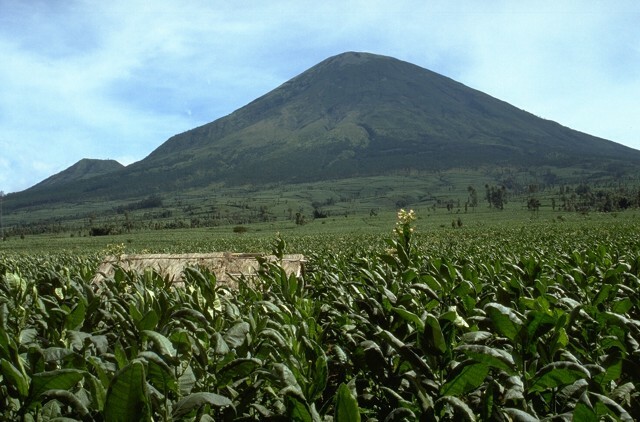 Sumbing) on Java (see figure 1 in BGVN 33:11), was the subject of a study of people's perceptions and reactions to volcanic hazards (Lavigne and others, 2008). Information Contacts: Center of Volcanology and Geological Hazard Mitigation (CVGHM) (URL: http://www.vsi.esdm.go.id/). Gunung Sundoro, one Java's most symmetrical volcanoes, is separated by a 1400-m-high saddle from Sumbing volcano. Parasitic craters and cones, the largest of which is Kembang, occur on the NW-to-southern flanks, and all fed lava flows. A small lava dome occupies the summit crater, and numerous phreatic explosion vents were formed along radial fissure that cut the dome and extend across the crater rim. Lava flows extend in all directions from the summit crater. Deposits of a large prehistoric debris avalanche are located below the NE flank. Pyroclastic-flow deposits dated at 1720 years before present extend as far as 13 km from the summit. 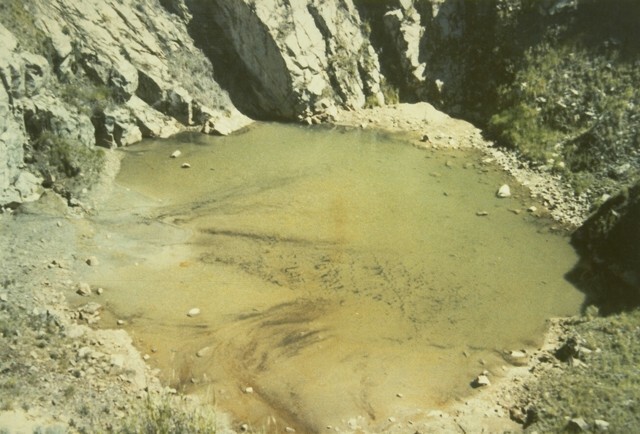 Historical eruptions typically have consisted of mild-to-moderate phreatic explosions, mostly from the summit crater. Flank vents were also active in 1882 and 1903. Sukhyar R, Sumartadipura N S, Erfan R D, 1992. Geologic map of Sundoro volcano, central Java. Volc Surv Indonesia, 1:50,000 geol map. There is no Deformation History data available for Sundoro. There is no Emissions History data available for Sundoro. The beautifully symmetrical Sundoro volcano, seen here from Wadas Putih village to its NW, is one of two conical 3000-m-high stratovolcanoes SE of the Dieng volcanic complex. 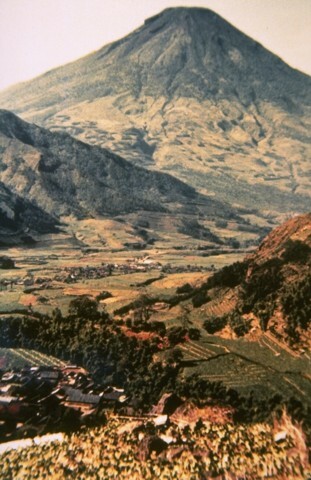 Explosive eruptions have occurred from both summit and flank vents at Gunung Sundoro during historical time, most recently in 1971. The floor of the K1 crater at the summit of Sundoro volcano contains a shallow lake. 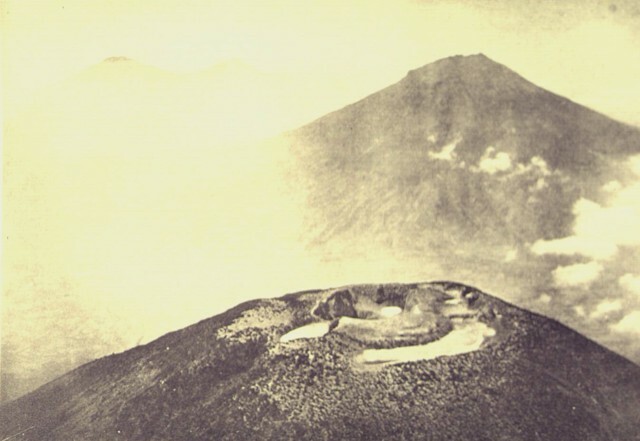 The 150-m-wide, 75-m-deep crater is the largest of the many craters cutting the summit of Sundoro. It is seen here from the rim of the next largest crater, K2, immediately to the south. 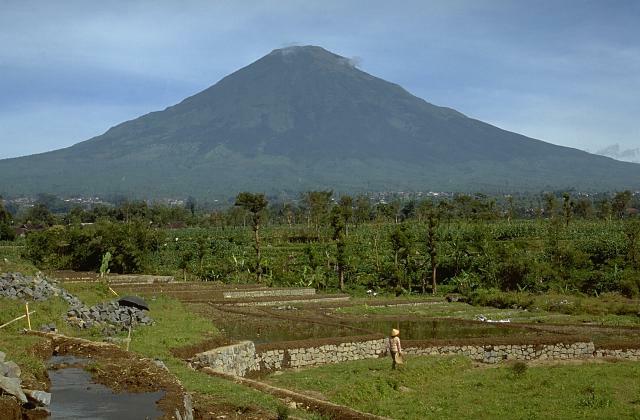 Farmers cultivate land on the eastern flank of picturesque Gunung Sundoro, one of the most symmetrical volcanoes in Java. The 3136-m-high stratovolcano towers 2500 m above its base, immediately NW of its neighboring conical volcano, Gunung Sumbing. A small lava dome occupies the summit crater, which has fed lava flows in all directions. 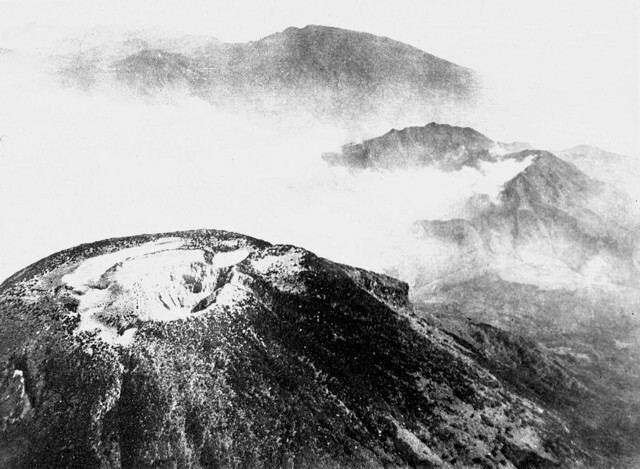 Historical eruptions typically have consisted of mild-to-moderate phreatic explosions, mostly from the summit crater, although flank vents were also active in 1882 and 1903. 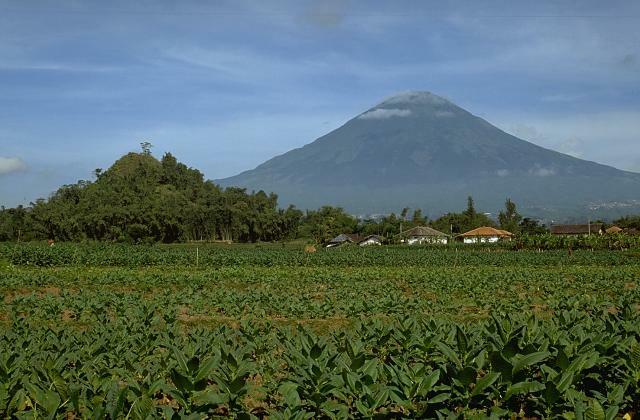 Gunung Sundoro is a prominent, symmetrical stratovolcano that rises to 3151 m immediately NE of Sumbing volcano. The foreground hill is part of the deposits of a large prehistoric debris avalanche that traveled up to 20 km prior to formation of the present-day volcano. Explosive eruptions have occurred from both summit and flank vents in historical time. The SE flank of symmetrical Gunung Sundoro rises above fields immediately west of the broad saddle with Sumbing volcano. Sundoro has erupted in historical time from both summit and flank vents. The satellitic cone at the lower left is Gunung Kembang. There are no samples for Sundoro in the Smithsonian's NMNH Department of Mineral Sciences Rock and Ore collection. Large Eruptions of Sundoro Information about large Quaternary eruptions (VEI >= 4) is cataloged in the Large Magnitude Explosive Volcanic Eruptions (LaMEVE) database of the Volcano Global Risk Identification and Analysis Project (VOGRIPA).